We are Here premiere screening. Q&A with the director Sima Gonsai. Sima Gonsai is a screen dance director from the UK and has received international acclaim for her work profiling dance and disability. The release of her third film “We’re Here”, presents a unique collaboration between Freefall Dance Company and Birmingham Royal Ballet principle dancers culminating in a piece that connects and contrasts two contemporary forms of ballet. We’re Here is a pioneering dance film that stimulates new and creative collaborations between the dancers, musicians and film makers combining the beauty of form and movement aesthetics of learning disabled and principle ballet dancers. Sima will showcase Freefall’s trilogy of films and a behind the scenes glimpse exploring the process of working with disability on screen. WE ARE HERE. A beautifully cinematic film that explores how difference can unite you as one. Director: Sima Gonsai / Choreography: Lee Fisher / Music: Richard Syner / Dancers: Freefall Dance Company and Birmingham Royal Ballet principle dancers. ONE FINE DAY. A collection of rhythmic and witty scenarios capturing the adventurous world of Freefall Dance Company. FREEFALL. 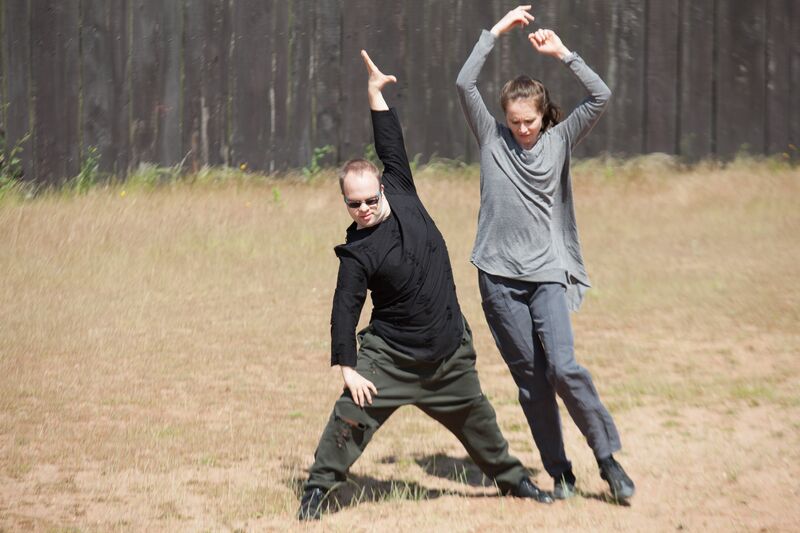 Featuring Freefall Dance Company commissioned by Mencap as part of their 2012 Cultural Olympiad project, We Dance. Freefall Dance Company is an innovative, collaborative initiative between Birmingham Royal Ballet and Fox Hollies Performing Arts College. It comprises Birmingham Royal Ballet staff, freelance artists, senior teachers and teaching assistants and a group of ten highly gifted dancers with severe learning disabilities. It was established in September 2002 and remains a ground-breaking initiative.